Living in Garden Grove, you must be used to of good things. 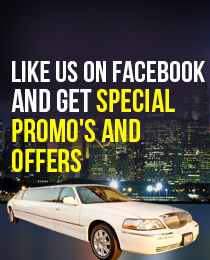 Why waste your time with a limousine rental service in Garden Grove that’s just not up to your standards? We at ULC limos want to make sure that each and every one of your expectations from a limo service or party bus in Garden Grove is fulfilled. Our limousine and party bus service in Garden Grove has made its place in the hearts and minds of our valued and returning customers. Customers can choose from a fleet of well maintained stretch limos, party buses, Hummers, Sedans, SUV’s and various other kinds of limo rentals in Garden Grove. You will find the variety of vehicles on this website and may reserve your favourite for the time period you require. The entire ULC experience is totally streamlined and user friendly to ensure that you don’t have to run from pillar to post to book the best limo in Garden Grove for any occasion. We have also categorized our limo rentals in Garden Grove according to different occasions, like birthdays, funerals, weddings, proms, wine tours, bachelor and bachelorette parties, and provide our services according to the specific occasion. For example, if you are hiring a limousine in Garden Grove for an anniversary, we can add, at your request, any decorations, food, drinks and music of your choice to our limousine. Which Garden grove Limo is Right For You?